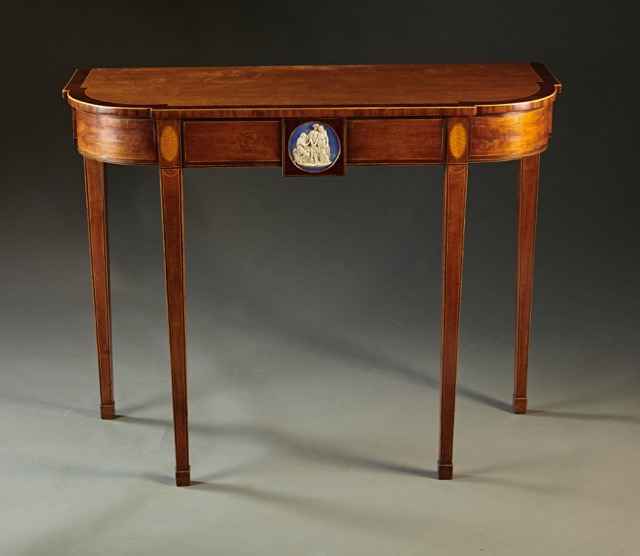 A unique "D" shaped console or side table with tapered legs, string inlays, and an unusual central tablet of neo-classic figures in Wedgwood or jasperware. This very useful design is as beautiful as it is functional. English, circa 1780.